My oh my it's been a busy week. There has been out of town house guests, a science fair tri-fold project, I've designed a website for a friend, and I'm learning how to make comfy flannel blankets with satin binding (post on that coming soon). In the mean time, I thought I would show you some heart shaped cupcakes we made for my daughter's sweetheart party last year. I want to say we got the idea out of a Disney Family fun Magazine because I can't remember if pinterest was around, or if I was even using it back in 2011, but luckily the technique is pretty simple. 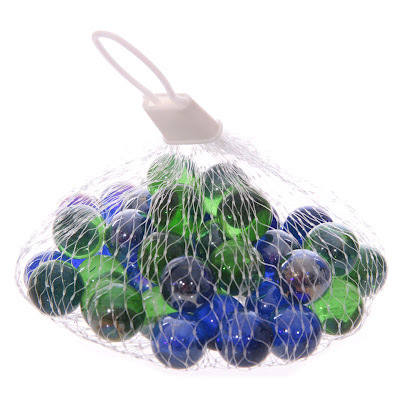 First, you have to find a mesh bag of glass marbles. That's harder than it sounds. I ended up on a quest to find them. Do kids even PLAY with marbles these days? After some facebook post inquiries I finally found them in the "novelty" section of the toy section at walmart. They were near the rubber balls and barrel o' monkeys. You get a bag of 50 (plus a larger shooter) for pretty cheap. 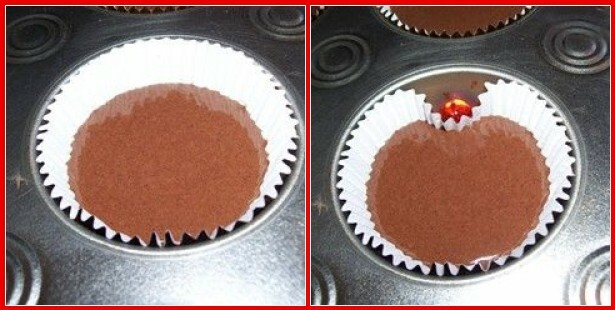 Now you want to make your cake batter as usual and place your paper or foil liners in the cupcake pan. Fill up your batter halfway, do not overfill. 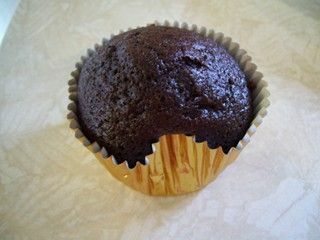 Place one glass marble gently down the side of your cupcake until it touches the bottom of the pan. Sometimes I had to "help" ease the liner as I dropped the marble in. After baking be sure to cool in the pan completely. Don't touch them while the pan or the marble is still hot. Once totally cooled you can pull the cupcakes out of the pan and either the marble will be left behind, or will be slightly stuck to the wrapper, which you can peel off. The shape of the cupcake will still be a little pointy and not quite heart shaped. The real trick to getting this into more of a curvy heart shape is all in the frosting technique. Use the frosting to really "round" out the top of the heart and I tended to pull the frosting in ever so slightly at the bottom to make the triangle end of the heart. Otherwise you will have a more rounded, lumpy-bum shaped heart. These would be great for a class treat at school, gifts for friends and neighbors, or even a fun weekend project for the kids near Valentine's day. My daughter wanted a heart party (her birthday is in November) so I just made two different flavors in contrasting colors and simply placed them around a larger heart shaped cake for fun. I will post about the full heart party next time, as we came up with some cute ideas you might be able to use for a Valentines party or birthday party in the future. All in all the hearts were a very big hit.